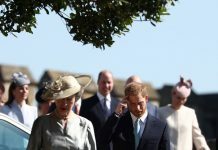 Prince Harry supported his wife Meghan Markle at the launch of her first solo project as a Royal Family member this week, and the newly-weds proved to be a strong unit as they mirrored each other’s happy body language during the event. As Harry and Meghan met the brave female survivors of the Grenfell Tower tragedy who contributed recipes to the Duchess of Sussex’s new cookbook, Together: Our Community Kitchen, they copied each other’s adorable hand gestures and excited facial expressions – how sweet! 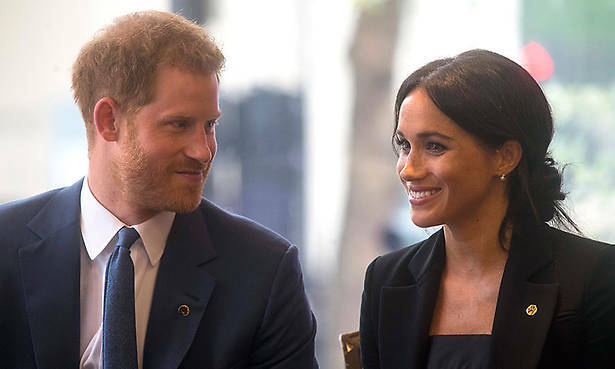 This isn’t the first time that Meghan and Harry have mirrored one another’s exact body language in public. 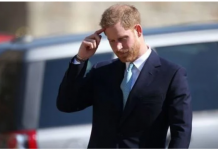 At the Wellness Awards in London earlier in September, Harry crossed his right leg over his left in the same position as Meghan, tilted his head at the exact same angle as her and cupped his hands on an identical spot on his leg as hers. It’s uncertain if this mirroring is a conscious decision, but it is certainly lovely to see and shows how much in synch they are as a newly-married couple. Harry also pulled hilarious faces at the children and made them laugh before presenting the Most Inspiration Child award and delivering a speech. 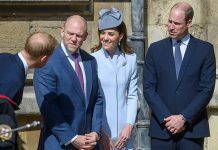 He even cheekily stuck his tongue out – but that’s something Meghan didn’t copy! The Duke and Duchess are also usually perfectly in synch when they walk and wave, as shown on a Royal visit to Ireland. They literally moved each leg at exactly the same time and held their waves at the same level – impressive! This means that the couple are pretty much always walking side-by-side and come across as very equal. 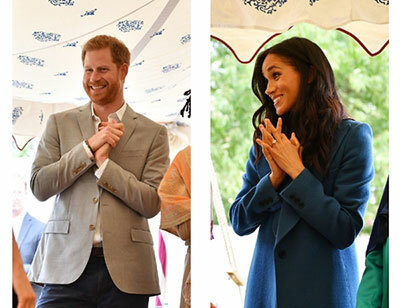 Royal fans also noticed how Harry copied one of his nephew’s sweet gestures this week, so perhaps some of these moves are in the Royal genes which meghan has quickly picked up on?